Salesforce (CRM) announced price increases, a new chief operating officer, a big new customer — Accenture — and updates to its Salesforce Lightning platform with field dispatch and other features. The online CRM company’s CEO Marc Benioff and other executives delivered the news at an event in San Francisco this week. Product updates include the next generation of what Salesforce calls its Customer Success Platform, Salesforce Lightning — a component-based way for organizations to build their own applications for the Salesforce platform without the need to code. The company has incorporated a configure, price, and quote (CPQ) solution into the platform from its December acquisition of SteelBrick, and added a new component called Field Service Lightning, which it says adds Uber-like dispatch capabilities to the platform. Forrester Research Senior Analyst Ian Jacobs told InformationWeek in an interview that Salesforce’s approach to adding field service functionality is “lightweight” and internally developed. That marks a difference from Salesforce competitors, which have sought to add this field and dispatch functionality to their products through acquisition. Oracle acquired TOA in July 2014, and Microsoft acquired FieldOne in July 2015. Jacobs said Salesforce’s route to adding field service to its platform offered benefits, and he expects other companies to take a similar approach. “It’s a smart way to get into the field rather than buy into it,” Jacobs said. Oracle, having acquired TOA, now must integrate all those components into its own platform, and that’s no small task. “I think Salesforce’s lightweight approach is one you will see more of from Salesforce competitors in the future,” he said. In addition to the new field service capabilities, Salesforce is “infusing Lightning in all our products,” said Sarah Patterson, senior vice president of product marketing and strategy, during the San Francisco event this week. For instance, Salesforce will bring Lightning to Community Cloud to enable customers to stand up their own communities, and then enable managers to view data on how people are interacting with those communities. Service Cloud Lightning will add Omni-channel Supervisor, a feature that enables the dynamic assignment of agents and the monitoring of work in real-time. 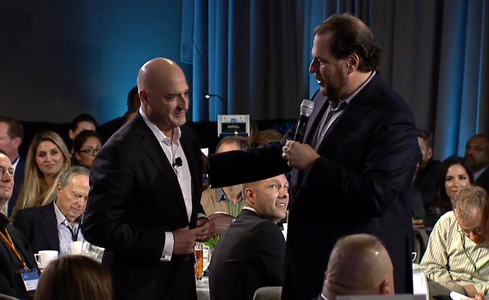 Salesforce also showcased a customer win during the event, Accenture. The business and IT consulting firm is a longtime partner of Salesforce and Salesforce’s competitors in the CRM space that helps organizations with their implementations of the online CRM platform. At the event this week, Accenture CIO Andrew Wilson said his company has moved 25,000 users in 50 countries to the Salesforce platform in a project that took four months from pilot to production. “You are making the CIO’s job very easy,” Wilson said during the event. Forrester’s Jacobs said the Accenture move to Salesforce that was announced yesterday marked a vote of confidence for Salesforce’s mobile capabilities. Salesforce’s spring and summer 2016 releases will include Process Builder for App Cloud, for creating enterprise workflows; the introduction of Heroku Enterprise, among other new features; the launch of Journey Builder Predictive Journeys; and other new features and components. Salesforce also announced the promotion of president and vice chairmanKeith Block to chief operating officer. Block has served in these roles at Salesforce since he joined the company in 2013, and will continue to retain his existing titles. He joined Salesforce in 2013, a year after leaving a long career at Salesforce rival Oracle. Does your company offer the most rewarding place to work in IT? Do you know of an organization that stands out from the pack when it comes to how IT workers are treated? Make your voice heard. Submit your entry now for InformationWeek’s People’s Choice Award. Full details and a submission form can be found here. Can Your Finance Department Answer These 5 Questions with Analytics?